We are currently negotiating an officially licensed release with âge. I'll add more once the process really gets going and I have more to say. A partial patch for the Coup d'etat Arc of Muv-Luv Alternative has been released. Just about every single image we plan on having translated for this arc has already been edited and inserted (and ofc editing and such are caught up as usual) so you may assume what's here is effectively the final product for this portion of the game. Remember that we have no access to images inside mech HUDs, but just about every other image is either tled or deliberately left untled (some of those decisions may be controversial, feel free to comment on it in the forums). And as usual, make very sure you have the exact version of MLA specified in the readme, are using real Japanese local (applocale does not count), and are mounting the image with Daemon Tools, or we cannot guarantee anything will work. It's .2 since ML and MLA are separate games and only the same "project" by technicality. Today marks the second day I translated a full (actually slightly over!) 20 kilobytes of MuvLuv Alternative, so it's now safe to officially say the project is well underway. Also, image editing is already in progress, so expect to see a lot of that in English even for partials. To prevent future complaints/confusion now: we only have access to maybe half of the texted images. The ones we do not have access to are most often little minimaps and battle plans appearing inside mech HUDs. However, we do have all of the minimaps and battle plans appearing in slideshows, which I am very grateful for. Full patch for MuvLuv Extra released. Partial patch for the main routes of MuvLuv Extra has been released. 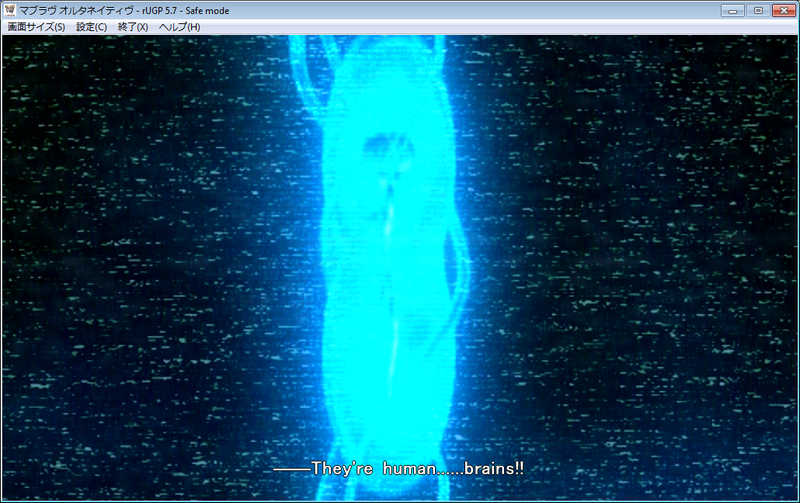 To the surprise of absolutely no one, we're doing MuvLuv and MuvLuv Alternative. To clarify: this does mean the entire text of MuvLuv (all routes of Extra and all endings of Unlimited) as well as the entirety of MuvLuv Alternative will be translated into English. I will be starting on Tuesday, February 2nd, 2010. For now, I will aim for a speed of at least 20 kb per day. Depending on how easy/hard this project and my college classes are, it may very well be increased later. Edits: We're doing 18+ versions of everything. Fandiscs will not happen. There appears to be a deluge of misinformation going around regarding the nature of this project. Please correct people or link them to posts like this whenever you can.